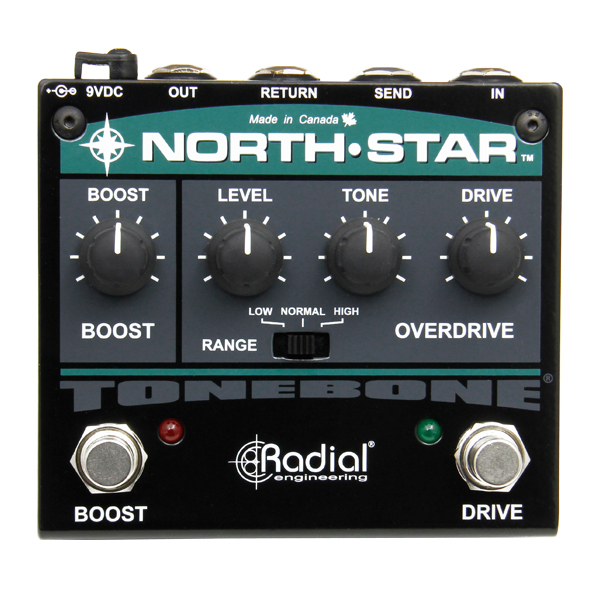 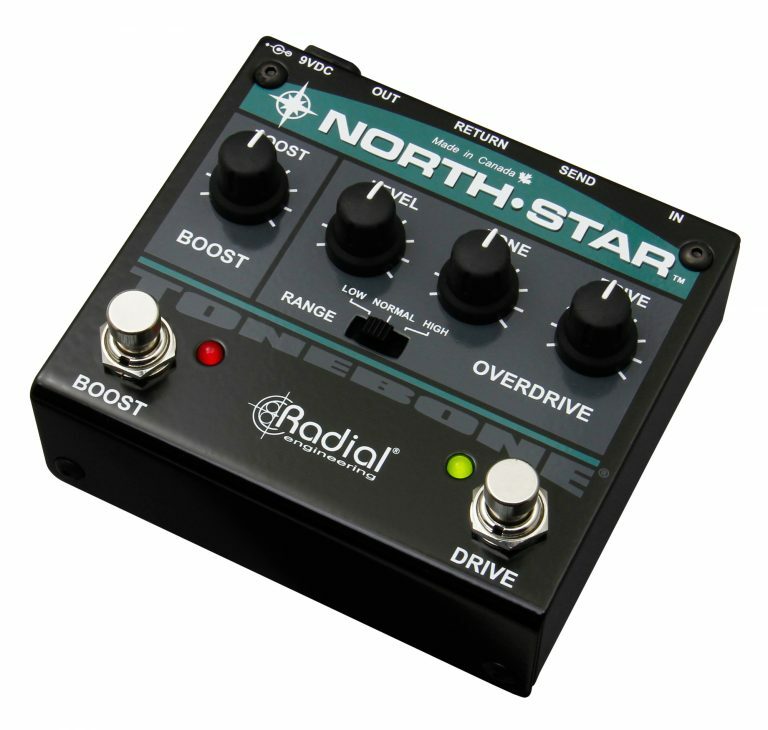 The North-Star is a compact yet powerful dual-function pedal that features an independent overdrive circuit and an independent boost circuit. 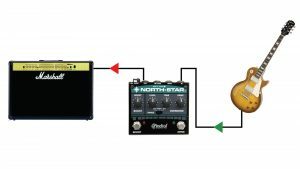 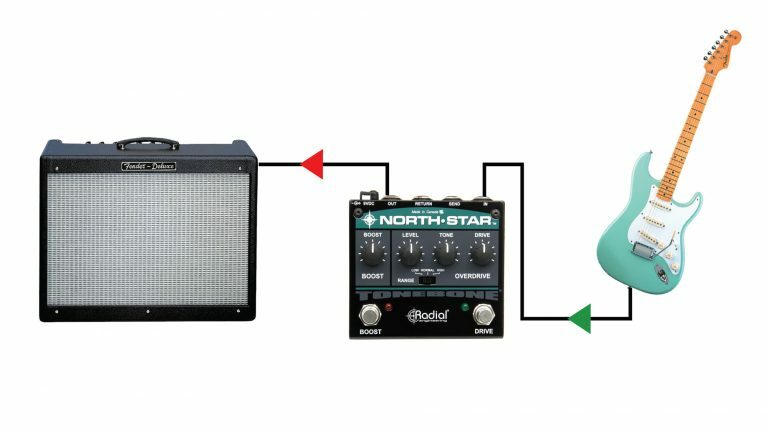 These two features can be used on their own or in combination for a wide range of tonal options ranging from subtle chunk to singing distortion. 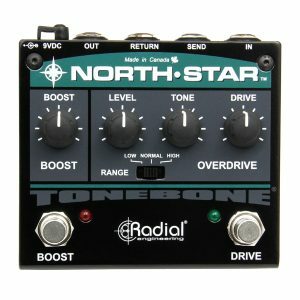 Regardless where you set the drive, the North-Star’s transparent overdrive circuit is designed to maintain ultimate clarity for maximum note articulation. 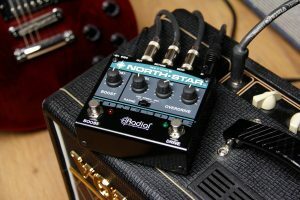 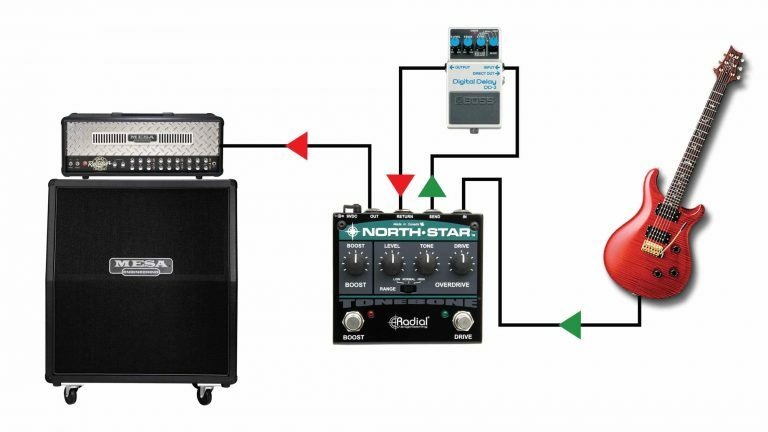 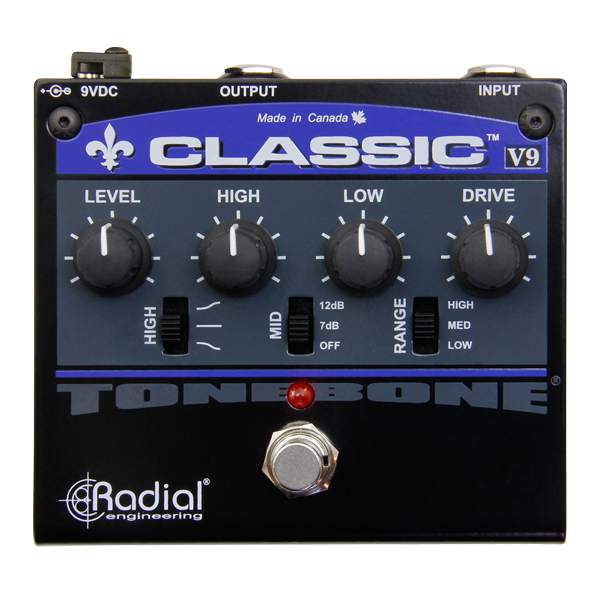 Its class-A boost circuit provides up to +24dB of clean gain and simultaneously activates its built-in effects loop to bring in effects for soloing. 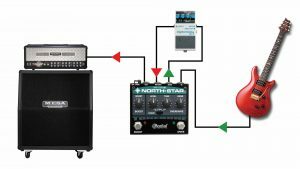 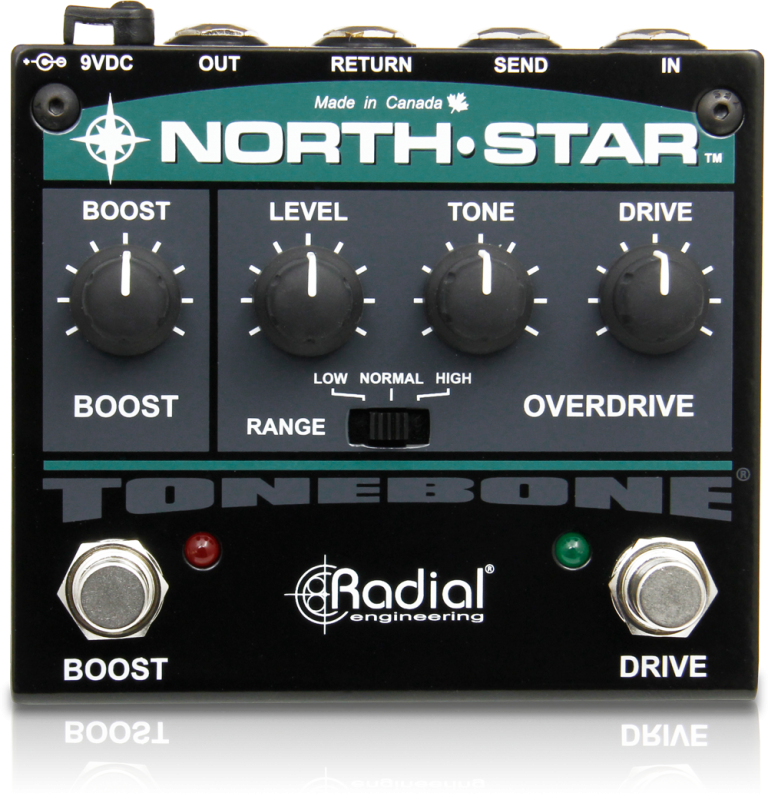 The North-Star can generate a range of overdriven effects, from smooth bluesy textures to fat lead tones with harmonically rich saturation. "Max the Drive knob, and you're instantly aware that the North-Star is made for rock guys who work in the cleaner end of the spectrum. 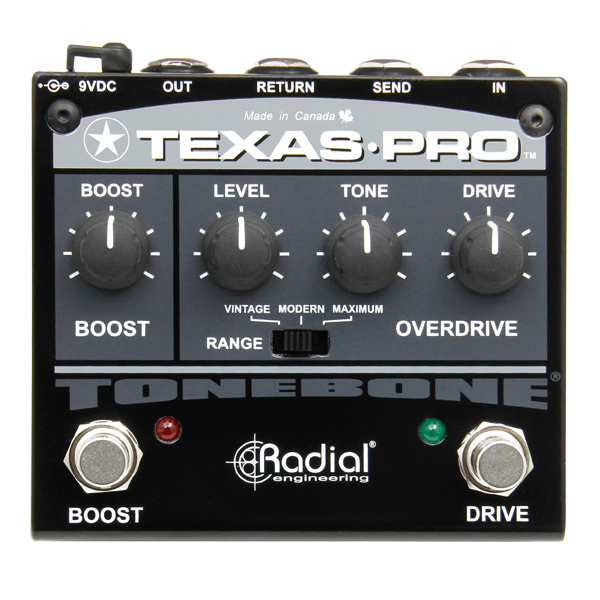 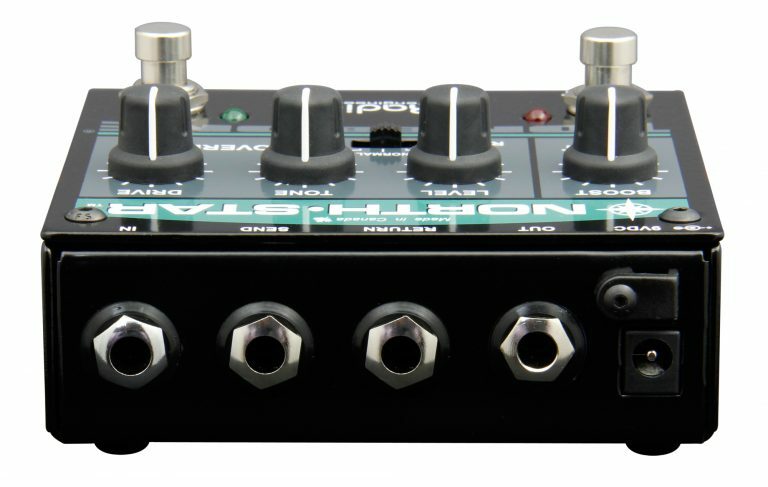 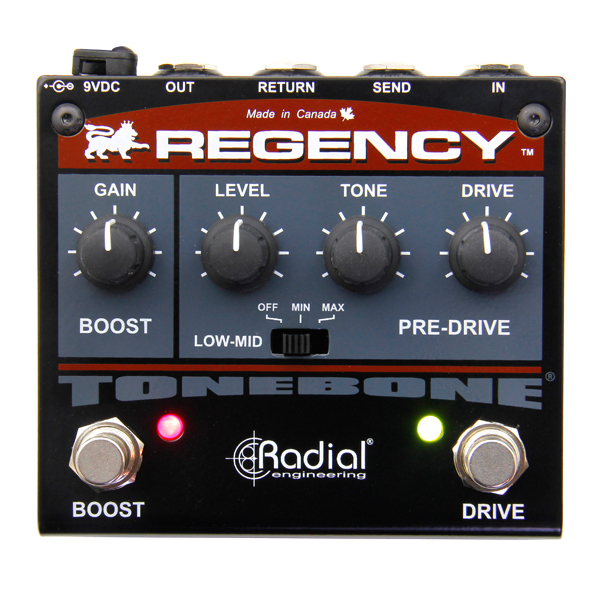 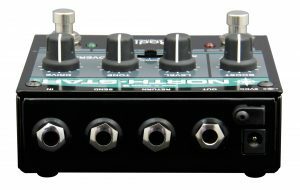 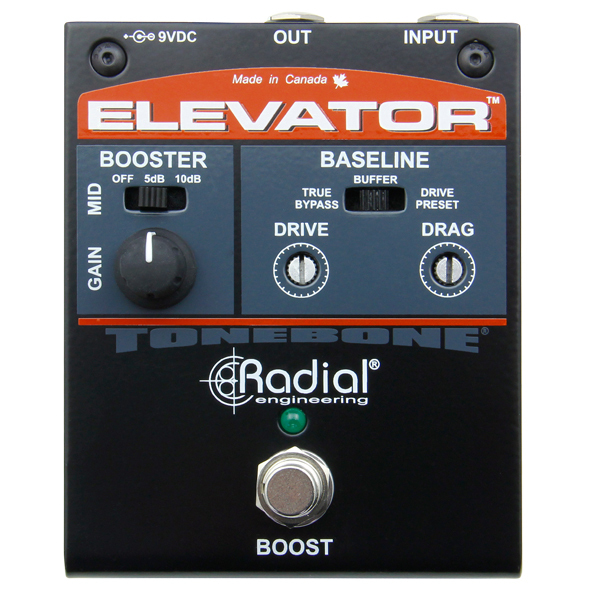 Also perfect for country players who require beaucoup articulation, clarity, and zero mud, this pedal works great when stacked with other overdrives."